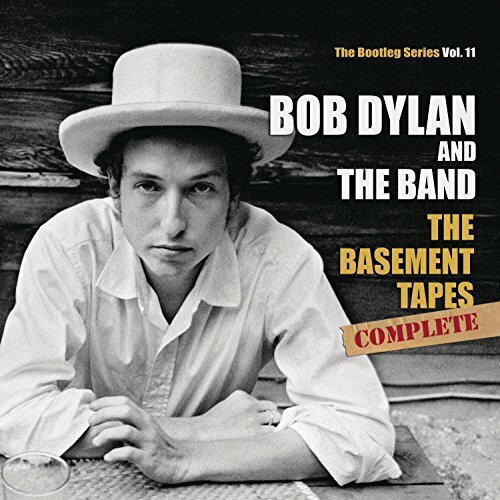 The Basement Tapes Raw: The Bootleg Series Vol. 11, a two-disc version of highlights from the deluxe edition, will also be released on November 4. This will also be issued as a 3 LP set on 180-gram vinyl. Among Bob Dylan’s many cultural milestones, the legendary Basement Tapes have long fascinated and enticed successive generations of musicians, fans and cultural critics alike. Having transformed music and culture during the early 1960s, Dylan reached unparalleled heights across 1965 and 1966 through the release of three historic albums, the groundbreaking watershed single “Like A Rolling Stone,” a controversial and legendary ‘electric’ performance at the 1965 Newport Folk Festival and wildly polarizing tours of the United States, Europe and the United Kingdom. Dylan’s mercurial rise and prodigious outpouring of work during that decade came to an abrupt halt in July 1966 when he was reported to have been in a serious motorcycle accident in upstate New York. When rumors and rare acetates of some of these recordings began surfacing, it created a curiosity strong enough to fuel an entirely new segment of the music business: the bootleg record. In 1969, an album mysteriously titled Great White Wonder began showing up in record shops around the country, and Dylan’s music from the summer of 1967 began seeping into the fabric of popular culture, penetrating the souls of music lovers everywhere. With each passing year, more and more fans sought out this rare contraband, desperate to hear this new music from the legendary Bob Dylan. A critical and popular success, The Basement Tapes went Top 10 in the US and UK, with John Rockwell, of The New York Times, calling it “one of the greatest albums in the history of American popular music,” Paul Nelson, in Rolling Stone, praising the tracks as “the hardest, toughest, sweetest, saddest, funniest, wisest songs I know”‘ and the Washington Post noting that “…Dylan has to rank as the single greatest artist modern American pop music has produced.” Robert Christgau gave the album an A+ rating in the Village Voice, where it topped the annual Pazz & Jop Critics Poll. Over the years, the songs on The Basement Tapes have haunted and perplexed fans, with the recordings themselves representing a Holy Grail for Dylanologists. What’s on the rest of those reels? The Basement Tapes Complete brings together, for the first time ever, every salvageable recording from the tapes including recently discovered early gems recorded in the “Red Room” of Dylan’s home in upstate New York. Garth Hudson worked closely with Canadian music archivist and producer Jan Haust to restore the deteriorating tapes to pristine sound, with much of this music preserved digitally for the first time. The decision was made to present The Basement Tapes Complete as intact as possible. Also, unlike the official 1975 release, these performances are presented as close as possible to the way they were originally recorded and sounded back in the summer of 1967. The tracks on The Basement Tapes Complete run in mostly chronological order based on Garth Hudson’s numbering system.